Travelling to school in our buses is one of the most cherished routine of our students, as these bring them to their world of joy and pride. All buses are goes enabled with two way communications. 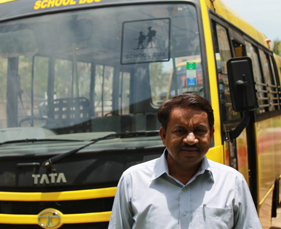 Free transport facility is provided for Pre Primary sections and is also available for students of all classes who commute from distant places.